We’re cheaper than any NW6 Self Storage, Our storage experts will find the right space to fit your needs.The affordable, secure and smart storage that comes to you! we cover hampstead and surrounding locations. 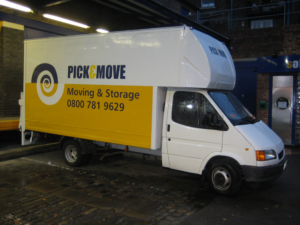 NW6 Storage prices from as little as £9.95 per week. 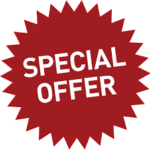 *50% Off for 16 Weeks & More. Are you in for Long Haul? NW6 Storage for Home when you need it for whatever reason or just home staging by de-cluttering for a quick sale or Businesses that needs re-organising to make rooms for more valuable space creating efficiency around work place? You will Find The Best Solutions that work for you NW6 Mobile Storage offers exceptional value, saves you money and time, why spending your valuable time visiting storage facilities in NW6 while Pick & Move Mobile storage can collect from the comfort of your home or office is cheaper than any NW6 Self Storage providers in West Hampstead, Primrose Hill and surrounding areas. Stored in our secure round the clock CCTV monitoring and fully alarmed storage facilities in London. We’re so convenient that you barely have to leave you home to enjoy our Storage Solutions in NW6! We collect your storage in NW6 store and return when you need them all for less than any self storage in NW6, get your quote today and see the difference. We love what we do we ensure that your goods are kept safe and secure there are different size storage units to choose from and store as little or as long as you wish, personalise storage solution we can pack, boxed all your belongings whether you selling your home or office overflowing or just simply redecorating we have the right solution at hand. our Storage tips is at hand for more information, planning and getting ready. We have designed every aspect with you in mind. You Should Expect More From a Storage Company, How We Compared with Self Storage. On demand storage offers exceptional value for money. With Short Notice, we can supply boxes and pack,. Our convenient door to door service is just a click or phone call away getting started is easy.